Okomeds is your preferred specialized translation agency for your needs in life sciences translation. Accurate and global. REQUEST YOUR FREE PRICE QUOTE HERE! IT'S FREE! In medicine areas, before, during, and after the launch of a new drug in the market, the pharmaceutical industry must complete and submit a large number of technical documents in many languages. Quality and delivery speed are crucial in these translations, as not only company profits and reputations are at stake, but also consumers’ health. For several decades now, CROs –Contract Research Organizations– have provided clinical research services to the pharmaceutical industry as well as to the biotech and medicine industry. 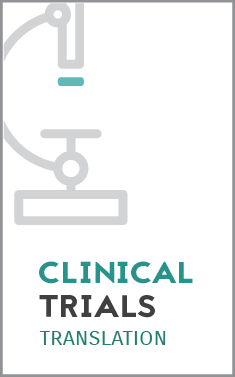 These clinical research projects are crucial to guarantee the quality of human life, and almost always require translation into other languages. Okomeds has been providing this service to various Spanish and international CROs for more than 10 years. Medical reports and agreements, patient histories, research papers, commercial documents, case analyses… Public and private companies in the medical industry handle huge amounts of complex documents which must also comply with the requirements and standards that apply in different countries. Okomeds provides this highly specialized medical translation service. 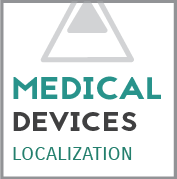 Multilingual translations by professional specialized native translators with extensive experience in the healthcare industry. Use of translation software and tools that shorten deadlines, improve productivity, and lower costs. Standard operating procedures created exclusively by Okomeds to ensure translation quality for our healthcare clients. In summary, it is important to emphasise that both medical translation and medicine translation are disciplines that must always go together in both clinical research and in all sectors of life science industry. Not only is the job carried out in monolingual environments essential, but access and, above all, publication of all the work carried out by outstanding medical professionals means that synergies must be created between all the actors involved. Medical translations can extend that daily contact between professionals and patients, as well as the translations of clinical research can and must strengthen this diffusion between the most specialised medical research environments towards the professionals who are in contact with the people who need such care and therapies. 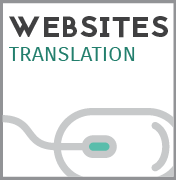 If you need a high-quality, swift, reliable health and life sciences translation, contact us straight away. 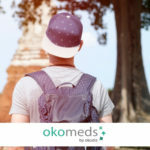 Okomeds is your translation agency specializing in what matters most: healthcare and medicine.